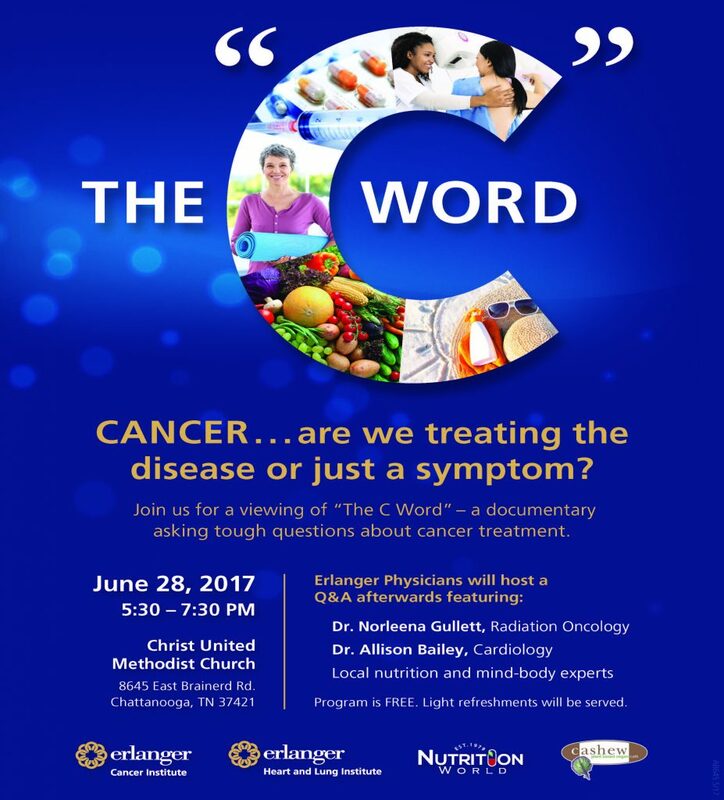 Word is getting out about the free program and documentary viewing of The “C” Word this Wednesday, June 28th. “Thank you for allowing Dr. Gullett to speak on your show. Cancer is a horrible disease that shows no remorse. Dr. Gullett was my mother-in-law’s doctor and what a God send she was to her and our family. Unfortunately, she passed on, but I would refer everyone to Dr. Gullett and the Cancer team @ Erlanger. For more information on this free program and event details, visit our Facebook event!